The founder of EA's Motive Studios talks to us about battle royale, streamers, and narrative in games. Jade Raymond knows single-player games. She sheparaded the creation of one of the biggest and longest-running single-player franchises with Assassin's Creed back at Ubisoft and now she's working on building up her own studio at EA with Canada's Motive. Raymond and the team at Motive are busy working on a new IP with a team that includes Portal designer Kim Swift and the merged members from BioWare Montreal. As part of her talk at GamesBeat Summit 2018, Raymond discussed the process of building a Triple-A facing studio in 2018 and we were lucky to sit down and talk with her afterwards to go even more in-depth on what Triple-A and Triple-A studios mean in 2018. We discussed the current state of Triple-A development, what single-player narrative games mean in the era of games-as-services, and chasing trends versus forging your own path in game development. So based on your talk just now and given your background, what would you say is the state of Triple-A games today? Jade Raymond: It's the same as it's been for a while in that it's constantly changing [laughs] In that it's completely different from how it was a while ago. Yeah, no it's really exciting because we have seen a huge shift in where players put value. So I think just a little while ago Triple-A meant how many things can you put in the box. It's the multiplayer mode, it's the co-op mode, it's the single-player campaign, it's open world. It's every single feature you've seen in every single game. And the exciting thing that's happened this year I think is just the fact that different types of experiences are taking off that don't need to have that amount of content. What's being valued is the experience that the player brings themselves in the social side of things. So I guess in terms of what does Triple-A mean now I think it has to mean a game that has social and opportunity for self-expression that players can make their own. So experiences worth sharing. By that definition would you consider Fortnite Battle Royale a Triple-A game? You're right though about how Triple-A games can be different things. Fortnite for example is multiplayer only and not a conventional Triple-A game on the older criteria. But it has a huge studio behind it and delivers Triple-A experiences. JR: Exactly. Well, that's the thing, that's what I was talking on stage with Dean [Takahashi, senior writer at GamesBeat]. To me Triple-A meant a certain level of quality, and quality is in the eye of the beholder. The thing for Triple-A is that it's supposed to be indicative of quality, and what quality and what players want to play and what player expectations are. What we see is there is a huge shift in what players put value on these days. I think Triple-A used to mean building up an entertainment event. For example, "I got this ticket, I'm going to see this concert for Beyonce and it's this big thing!" Versus now which is more like creating the neighborhood bar. The value is how are we creating something that becomes a pastime that I can share with friends. That's how I see the shift happening and how you quantify that is different. But to me, as long as you're delivering what players are putting value on that's Triple-A. Does this perspective on today's Triple-A game inform how you're building Motive Studios in Canada? JR: We're trying to innovate. We really want to create something new. So I don't think what I was talking about [Triple-A games] is what I'm seeing now. But we're creating a brand new franchise, and it's going to take a few years to make. If we started doing what we're seeing now then it'll probably not seem very cool by the time it comes out [laughs]. We'll look lame! Like, "That's the trend of three years ago!" We'll look like idiots [laughs]. So what we are trying to do is create a studio that has a new culture of its own that can be creatively led and more diverse because I do believe that by bringing together people with different backgrounds, different perspective [that's] how you're really going to innovate. I think if you do put together a team that's just, you know, the same kind of people with the same background you're going to end up with the battle royale clone number 20, three years from now which is not what you want. So what we're focusing on is how do we create a culture that really is inclusive, where there's room for everyone's ideas. Where we're unlocking everyone's passion and that's how I think we're gonna innovate and create something really original. 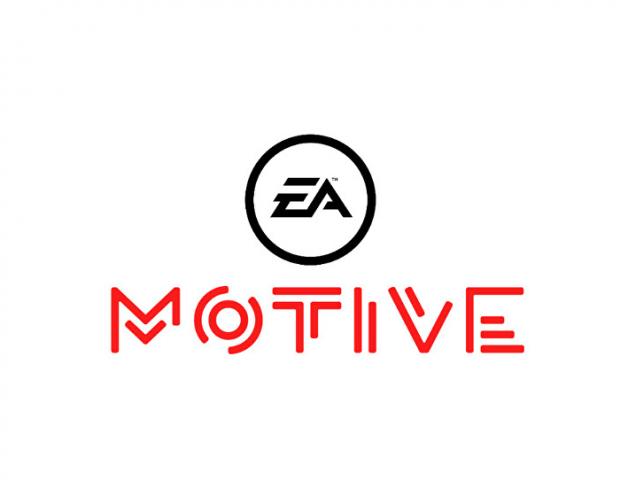 So Motive isn't making a Battle Royale game? JR: [Laughs] We are not making a battle royale clone! How do you see diversity inform the game industry these days, from your own work and other studios? JR: The one thing we put out so far is the single-player campaign for Star Wars: Battlefront . 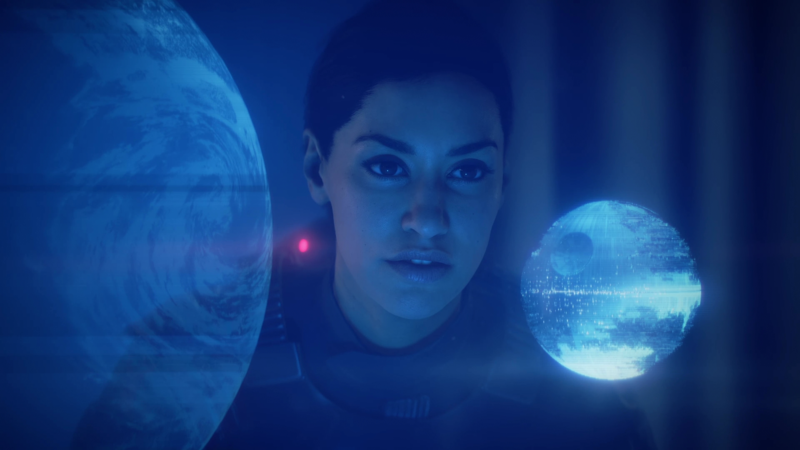 And one of the things Janina [Gavankar, Iden Versio in Battlefront 2] was just talking before me is one of the things I'm proud of-and what was actually really exciting to me-was that in the [Battlefront 2] DLC you're playing the fifty-year-old version of Janina. And it's the first time I think that gamers will have ever played a game where they're called "Mom" and like this is the first action-hero that's a badass fifty-two-year-old mother. What's the magic formula? I don't have the answer yet but I think that's a really exciting thing that people, and us included, are going to continue to try and figure out. Indie games have also been doing a ton to push different types of main characters, different types of concepts, different types of messages that we also need to work harder to get into games. So last year there was a sort of debate about whether or not narratively driven, single-player games are dead. Is that how you feel? JR: They're definitely not dead. I love story-based games, that's sort of what I started out in. It's what I always traditionally played. I'm playing A Way Out now which is a very narratively-focused game. Above all else you're living this story. And I'm a huge fan of Josef too with Brothers. [That's also] a narrative, story-based game but there's no real voice in it which is interesting. Inside is another one of those. I think there's so much still to explore in terms of narrative games and new takes on them. And I think it's something that's in a sense the holy grail of games. We still haven't figured out what is a social narrative-based game, or what's a story that can really exist as a service. I think when you think of them traditionally a story has a beginning, middle, and end and when the story is done the people who are in it for the story are done. So I think it's really exciting how you can create a story that is compelling but can continue to live. I do think that's kind of the holy grail to me of what that means. What's an action-adventure game that's also social? You're not gonna go and share a part of a story that a friend lived through and played the exact same way. That's not worth sharing. I'm having some trouble wrapping my head around that concept. Could you give me an example of what that could look like as a game? JR: It could be so many things which is why I say that it's the holy grail of game development. You saw it with Shadow of Mordor and the Nemesis system. How do my actions shape the narrative a little bit different and my own experience a little bit. But that's still very much a single-player experience. Ken Levin is working on a lot of these topics with his startup, what's a framework that's going to generate narratives. I think there are so many different ways to go about it and a lot of really smart people are working on that, but I think that's to me and to a lot of other people in the game industry a really important nut to crack. When you think about most games, the most exciting stories are the ones that are your own. You're not gonna go and share a part of a story that a friend lived through and played the exact same way. That's not worth sharing. But the fact that I went and had this experience and it's my own and it's an anecdote that's worth sharing with you, that's the exciting type of story for games. Because we are in an interactive medium, but I think we're still cracking that nut. What's the magic formula? I don't have the answer yet but I think that's a really exciting thing that people, and us included, are going to continue to try and figure out. And so we might see it in four years from Canada. JR: Hopefully [laughs] and hopefully three! Where do you see the rise of streaming playing into all this? Because those are shareable experiences. Is there that kind of streaming potential for single-player games? JR: Absolutely and I think everyone has to be thinking about that stuff. Actually, we did a lot of work building the new studio on what we want to represent as a studio, what kind of game are we striving for? What kind of place do we want to be? And we want to be creating worlds that provide endless discovery and experiences worth sharing. Worlds and also places and experiences worth sharing. How do you create that? Whether it's single-player, multiplayer, social, I think that's the key. It's the experiences worth sharing and for that, you have to dig into what's going on these days with streamers. The interview has been edited and condensed for clarity. Tagged with Electronic Arts,	Feature,	Games as Service,	Motive Studios,	narrative,	Single Player. The US moves forward with investigating loot boxes.